Part 1 starts when Perth was still referred to as the Swan River Colony. Western Australia had been a penal colony from 1850 to 1868, receiving over 9,000 convicts transported over 43 ocean voyages. 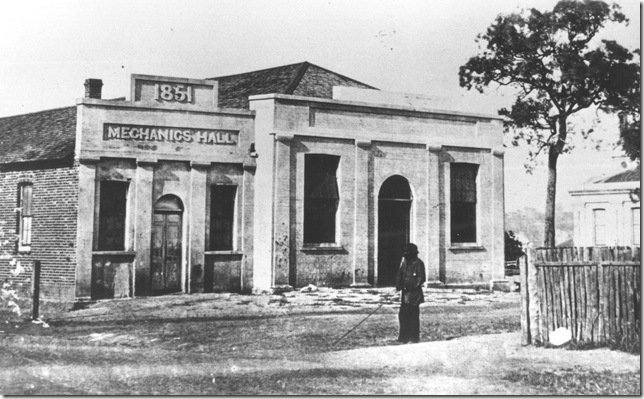 The colony’s first cultural centre was The Swan River Mechanics’ Institute, established in 1851. As well as housing an extensive library, and various specimens of our natural history, the Institute also provided a venue for entertainment. 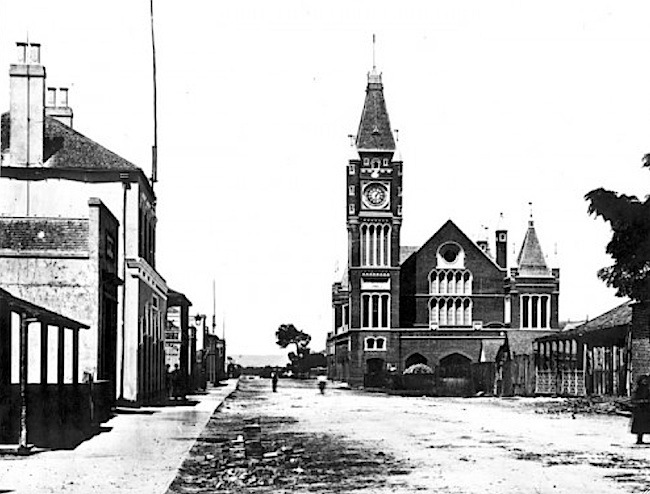 The population of Perth tripled in a decade to 27,553 in 1901, as a result of the gold rushes in Coolgardie and Kalgoorlie from 1892–93. This led to a transformation of the city with much building taking place. Many of these structures would last into the 1960s, until the next big mining boom which eventuated in a vast number of the earlier structures being demolished, and within a decade most of Perth’s grand old theatres were gone. Career opportunities in the performing arts have evolved over the years. 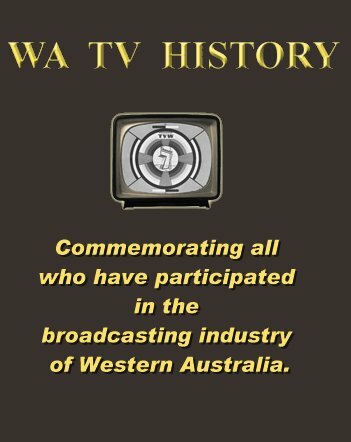 Fifty years ago in Western Australia there were no formal schools to teach radio and television broadcasting skills, other than the technical college trade related courses and the AWA run Marconi School of Wireless. Private teachers taught elocution, singing and dance and there were the amateur thespians of the Repertory Club producing an eclectic range of plays, revues and musicals. Many promotors also staged performances which covered a wide range of popular entertainment forms at the professional theatres. 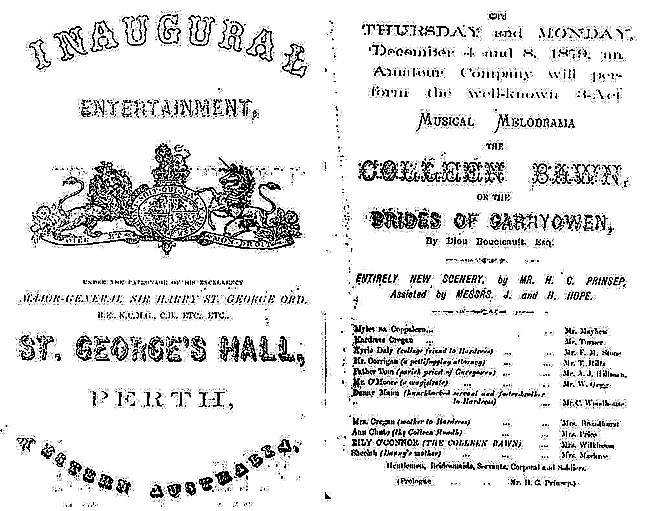 Owing to Perth’s relative isolation it developed a strong local music scene from the earliest days of the colony. 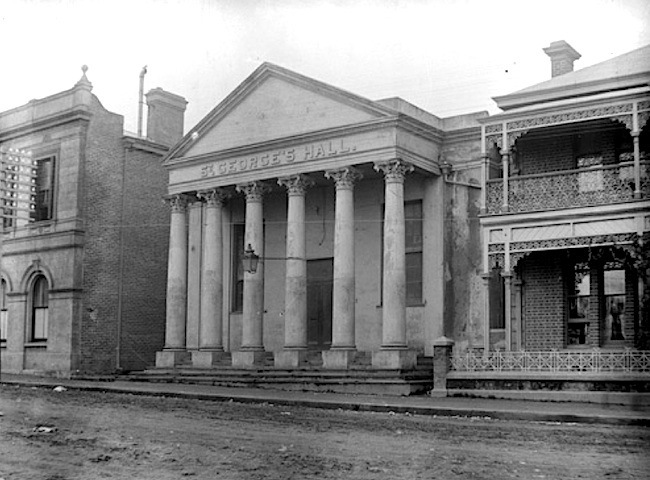 For more than two and a half decades the Perth Town Hall (1870) and sometimes the Swan River Mechanics’ Institute (1851) and St George’s Hall (1879) were used to stage live theatre productions. The above images were captured by photographic techniques which dates back to 1822. The origins of photography, developed from the work of many, including French inventor Nicéphore Niépce (1765-1833), who was experimenting with photogravure etching and use of the the camera obscura. 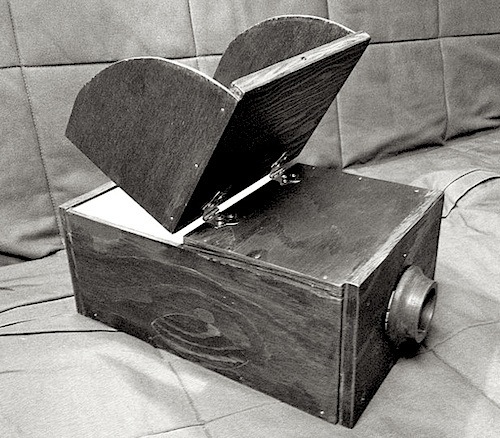 The earliest being pin hole camera that projects an inverted image of its surroundings on a screen, until a lens was employed. Niépce also experimented with silver chloride, which darkens when exposed to light, but eventually looked to bitumen, which he used in his first successful attempt at capturing nature photographically. Then Louis Daguerre (1787–1851), a French artist and physicist, together with Nicéphore Niépce, were able to produce a direct positive image in the camera on a silvered copper plate, but the image was very fragile and could be rubbed off with a finger. The exposure in the camera was also too long to conveniently take portraits. Henry Fox Talbot (1800–1877), a British inventor, photography pioneer and noted photographer made a number of major contributions to the development of photography as an artistic medium. In 1835, Fox Talbot created his own photography process. Talbot’s contributions include the concept of a negative from which many positive prints can be made, which succeeded as the basis for almost all 19th and 20th century photography. Eadweard Muybridge (1830–1904) was a British photographer who spent much of his working life in California, using multiple cameras to capture motion in stop-action photographs. In 1878, he placed a series of glass-plate cameras in a line along the edge of a race track, with the shutter of each triggered by a thread as a horse and jockey passed. As a neutral background, he lined the track with cloth sheets to outline the silhouette of the galloping horse. 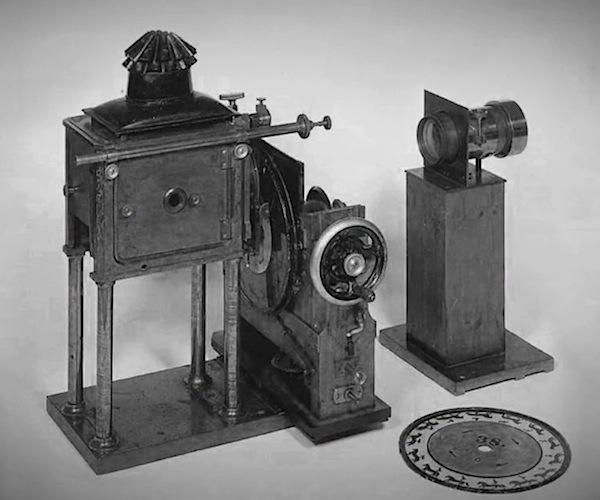 He then invented an early movie projector he called a zoopraxiscope to demonstrate “The Horse in Motion.” The film camera was yet to evolve, as this was just a series of still photographs taken in rapid succession. This is a short film created for the Eadweard Muybridge exhibition at Kingston Museum, in September 2010. When Eadweard Muybridge visited Thomas Edison’s laboratory in February of 1888, it stimulated Edison’s resolve to develop a motion picture camera. In 1878, Raymond Longford was born. He was to become Australia’s most prolific director of the silent era. Among his many hits were “The Silence of Dean Maitland” (1914), “The Sentimental Bloke” (1919) and “On Our Selection” (1920). The AFI award for lifetime achievment is named after Raymond Longford. Starting off as a stage actor before acting in films for producer Charles Cozens Spencer (1874 – 1930), another significant figure in the early years of the Australian film industry who became the leading exhibitor in the country by 1912. Spencer acquired picture theatres across Australia, as well as overseas agencies for film releases. His screenings ranged from footage of the San Francisco earthquake and the Burns-Johnson fight to the American classic, The Great Train Robbery. During the later stages of the industrial revolution motion pictures developed gradually from a carnival novelty in the 1890s along with a myriad of other innovations. A revolution introduced by the steam engine, patented by James Watt in 1775, followed by the development of steam-powered ships and factories, the locomotive and railways, and later in the 19th century with the internal combustion engine and electrical power generation, all brought radical changes. Changes that were captured for perpetuity, first by still photography and then by the marvel of moving pictures. Clever though primitive contraptions built by the artisans of yesteryear. Mechanics were to that era what electronics is today. The skills gained by makers of clocks, watches and scientific instruments were employed on a far greater scale in the building of complex machinery, which drove the evolution of modern engineering. Though the process of economic and social change took place gradually, each step was dependant on new inventions and technological discoveries. Starting with iron making, and the coke fuelled blast furnace leading to cheaper iron and steel, and the development of portland cement, led to a revolution in building. Refinements made in the use of electricity, further advanced technology with the introduction of the telegraph, the telephone, radio and sound with movies. This would later lead to a new revolution in electronics that not only produced television but also the computer. New innovations in all scientific disciplines resulted in sweeping changes that left nothing untouched, other than remote indigenous tribes. But even they were eventually impacted as western technology reached every corner of the globe. Since the development of motion pictures, the social impact has been documented, and dramatised in book, play, and film forms. The way this is conveyed, is also undergoing change as each new media developments impact on the other, eventually making old forms obsolete. Entertainment forms encroached on one another as live theatre and radio were effected by cinema and television, then threatened by video stores such as Blockbuster, who in turn have been challenged by the internet. Between 1850 and 1930, variety theatre was presented by a number of companies who engaged a wide range of artists. The acts were considerably varied and included magic lantern and towards the turn of the century, early silent film offerings, often with a live musical accompaniment. 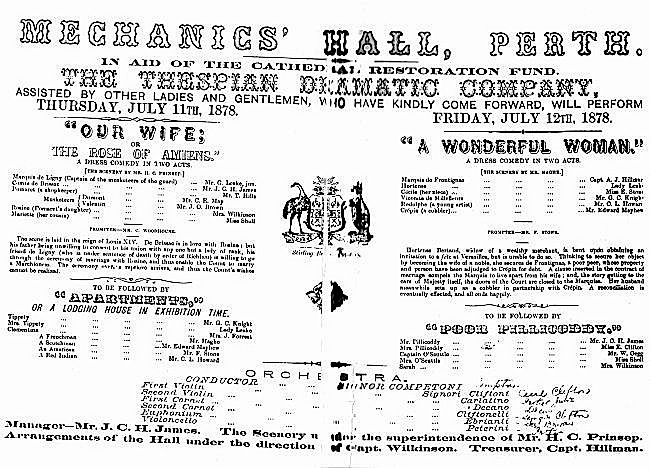 These were presented at many venues from open air gardens to halls until purpose built theatres were erected. Some traded under the name Ye Olde Englishe Fayre (YOEF). Live entertainment required the services of musicians and small orchestras to provide accompaniment not only to other acts but also silent movies until the advent of sound, which then put many out of work. 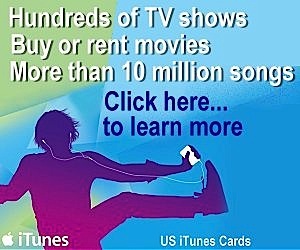 As raised above, new forms of entertainment delivery disrupted the old. Live theatre was effected by the cinema, which in turn was impacted by television. Vaudeville also disappeared with the arrival of TV. A stage act that could play many locations and enjoy a long life soon found that the mass audience of TV destroyed those opportunities. Early radio also employed live actors and musicians until gramophone recordings and television made it necessary for the medium to change. Early local variety television gave work to those who could carry a tune, though networking now means that production is centralised on the eastern coast thus limiting opportunities for locally domiciled musicians. New genres have evolved with reality TV taking advantage of a public seeking 15 minutes of fame and imaginative twists on the age old talent quests. It was a different world in 1892, when The Salvation Army founded its filmmaking branch, the Limelight Department, which was responsible for 80 per cent of all Australian film production between 1900 and 1906. It closed down in 1910. The inspiration for the name coming from the light source used for slide projection and theatre spotlights at the time. Blocks of lime were heated to white incandescence by a gas jet, usually generated by heating chemicals in a retort beside the projector. In May 1901, the Limelight Department was commissioned by the Victorian Government to film the visit of the Duke and Duchess of York, later King George V and Queen Mary. 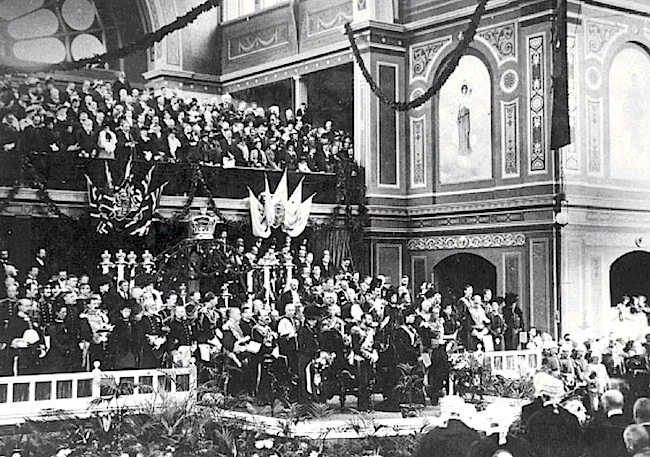 The royal party travelled to Melbourne, where the Duke opened the first sitting of the new Commonwealth Parliament at the Exhibition Buildings. In 1894, thousands of people around the country saw films displayed in Kinetoscopes, at Penny Arcades in single viewer peepshow devices invented by Thomas Edison’s Company. Two years later, projectors began to arrive in Australia, allowing grouped audiences to view films. 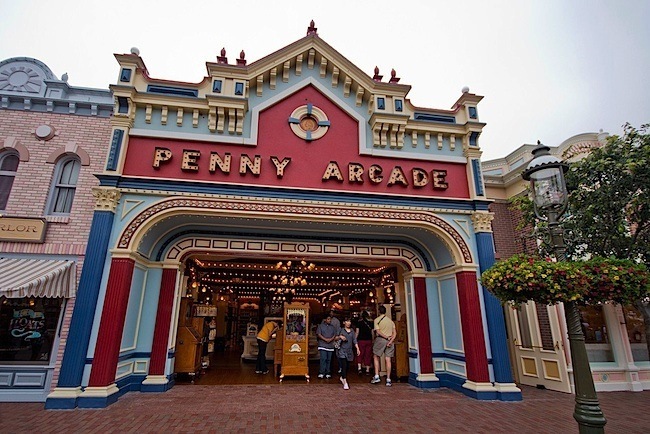 Amusement arcades developed out of penny arcades from the nineteenth century, as venues for people to entertain themselves whilst operating a variety of mechanical games including coin-operated billiards, hockey tables or shooting games. There were fortune telling and strength testing machines, games of chance which rewarded with a toy or a money prize to full blown poker machines. There were also peep shows, being a slot machine which played a short duration silent movie of a titillating nature. Later pin ball machines became very popular, evolving into more combative video games in the late 1970s. Richard Rennie demonstrates a wide range of early motion picture amusement arcade equipment from his collection, including the Kinetoscope. In 1891, the Edison company successfully demonstrated the Kinetoscope, which enabled one person at a time to view moving pictures. The Kinetoscope used a strip of 35mm film to also provide viewing to one person at a time. A popular attraction was a 35 mm filmstrip of the Butterfly Dance (circa 1894-95), featuring Annabelle Whitford Moore, in the format that would become standard for both still and motion picture photography around the world. The Mutoscope was an early motion picture device that worked on the same principle as the “flip book.” It was patented in 1894 and provided viewing to only one person at a time. It quickly dominated the coin-in-the-slot “peep-show” business. The series﻿ of flip cards simulated a moving image, and usually lasting about 45 seconds to a full minute (depending on how fast you turned the crank), for the magnificent sum of one penny. No “penny arcade” during the first half of the 20th Century was complete without several of these. 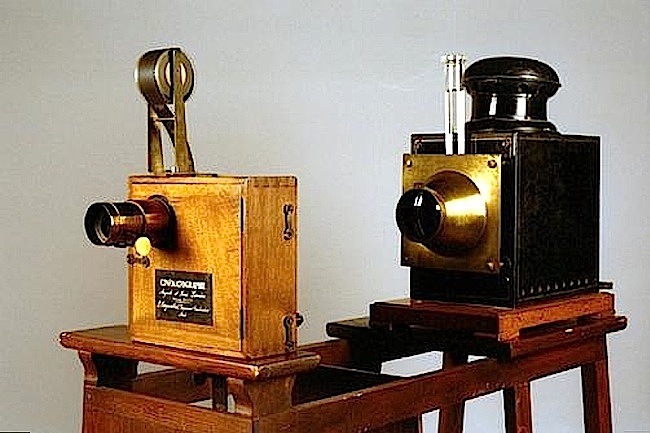 The Lumiere Brothers of France, were among the earliest filmmakers in history and patented a number of significant processes leading up to their film camera and the first footage ever to be recorded on March 19, 1895. Meanwhile between 1895 and 1930 in the UK, early cinematographers were filming much content from the British Music Hall and variety. A wide range of classical, modern, post-modern, contemporary, popular and folk dance was also caught by the camera. Little did the performers realise how much this new medium was going to impact on the career opportunities of future generations of performers. In 1895, the original Perth City Brass Band was formed. They were employed as a Regimental Army Band for Citizens Military Units in addition to its main function as a Community Band. Also that year The Dalkeith Opera House was opened, to later be named the King’s Theatre. 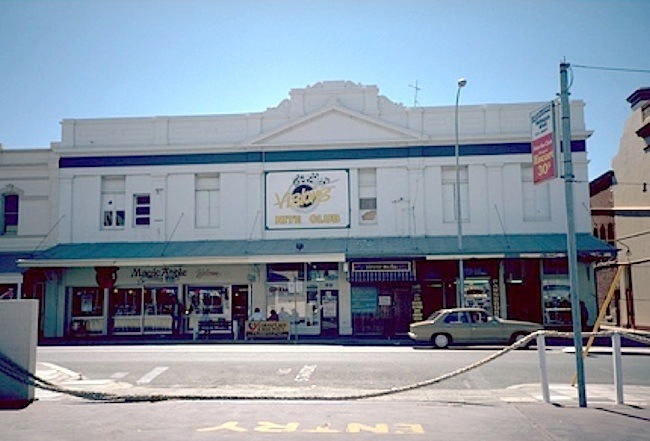 It was a live venue located at 52-62 South Terrace, in Fremantle. The large, two storey, theatre building was designed to accommodate 1,200 people. It became the venue for a wide range of assembly from meetings to entertainment forms such as vaudeville, boxing and cinema. The building still stands with its rendered brick, decorative cornice, stuccoed parapet and pediment. The theatre had a sliding roof, a large fly and twelve dressing rooms. The street frontage is now given over to shops. 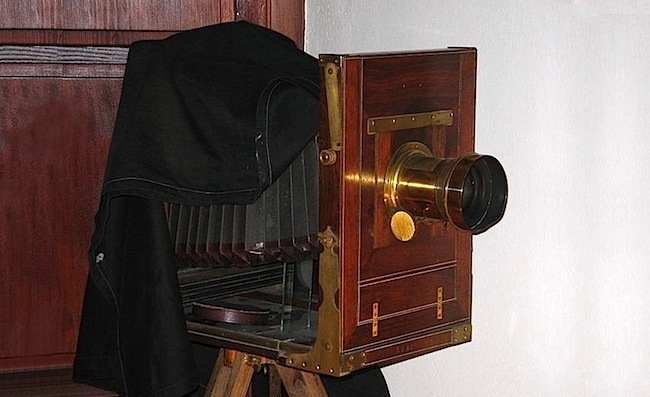 In September 1896, Marius Sestier, an agent for the Lumiere Brothers, came to Australia to display the Lumiere Cinematographe, a three-in-one device that could record, develop, and project motion pictures. Sestier is credited with taking Australia’s oldest surviving films, those of the 1896 VRC Derby and Melbourne Cup. This is Part 1 of the first film made in Australia – it’s at the Melbourne Cup at Flemington Racecourse in 1896. This is Part 2 of the first film made in Australia – it’s at the Melbourne Cup at Flemington Racecourse in 1896. Richard Ashton provided much input and guidance in the compilation of this essay, Gordon McColl assisted in field trips and library research with Richard. Also appreciate the help provided by Dr Peter Harries, and Ian Stimson. Conversations with Coralie Condon, Audrey Long and Rick Hearder are highly valued, as they reminisced about the topic. Congratulations on a brilliant historical piece of nostalgic memories. Your site is, as they say, a “keeper”. Awesome piece! 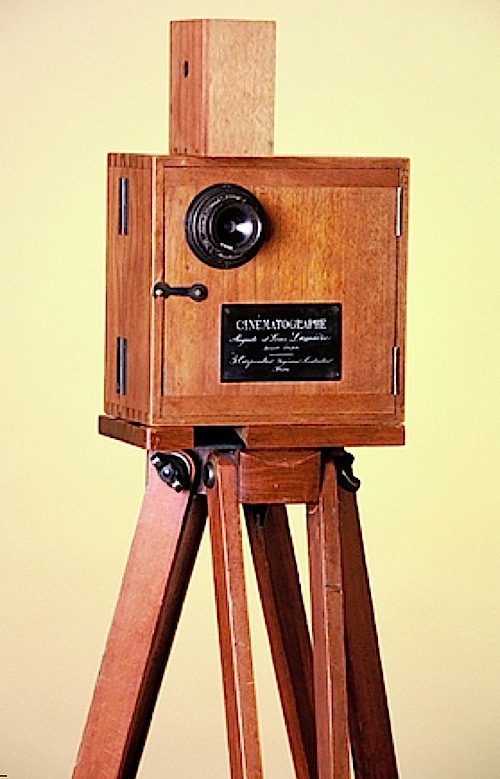 The Lumière’s cinématographe,filmmakers leading up to their film camera to shoot the views.